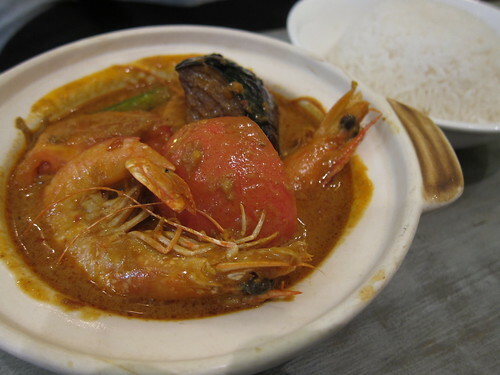 Located in Chinatown, Crystal Jade is a popular eatery for Chinese cuisine. 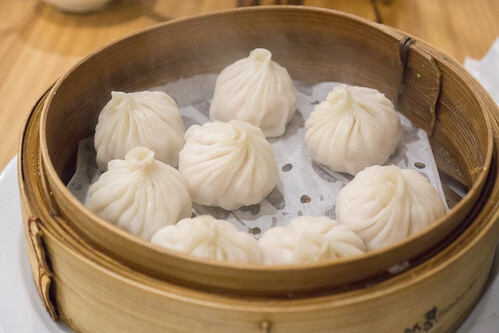 They offer Yum Cha (Dim Sum) for brunch/lunch and your typical Chinese cuisine for dinner and of course seafood amongst many of their dishes. 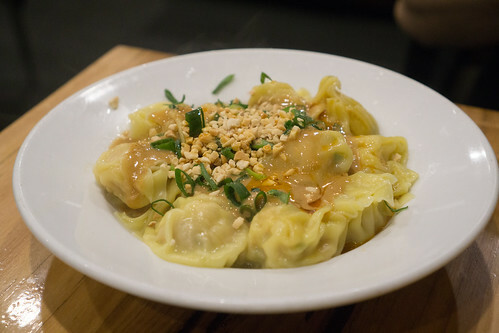 Bookings are essential for weekend Yum Cha but luckily they have two sessions available. 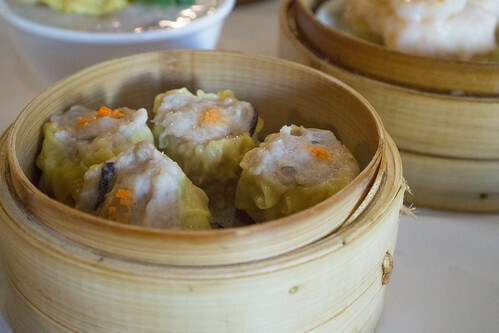 We had Yum Cha at Crystal Jade based on reviews on Zomato, and pretty much picked all our usual dishes to compare it against other Yum Cha places we have frequented. 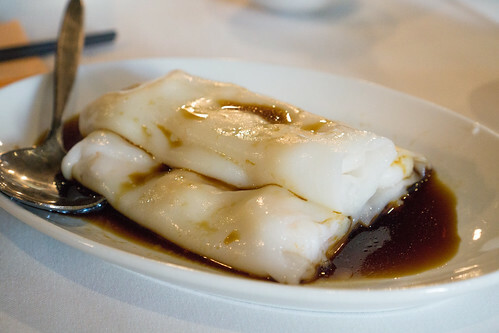 The Chee Cheong Fun (Rice Noodles with Prawns) at Crystal Jade was decent, it was lacking in a lot of flavour in the filling, and you kinda needed chilli sauce to add some punch to it. 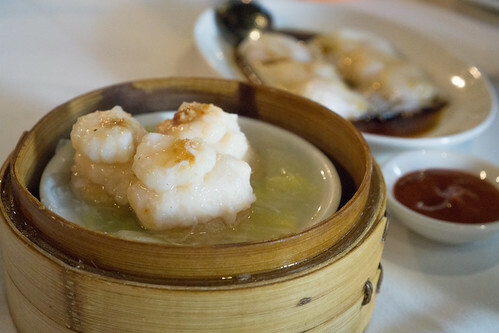 Not being of Cantonese background, I don’t actually know the name of this one but it was like this prawn dim sum, that also needed some extra seasoning, even a bit of salt to enhance the flavours would be good. 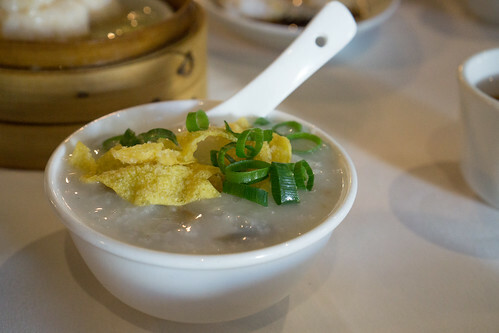 The Century Egg Congee (Rice Porridge) on the other hand was great! 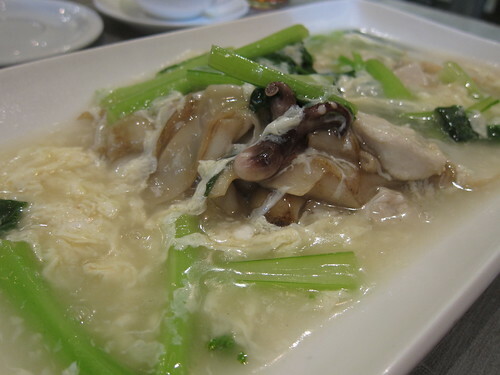 I love the crispy things they added on top with the fresh spring onions. Great Century Egg flavour, and just how I like it. 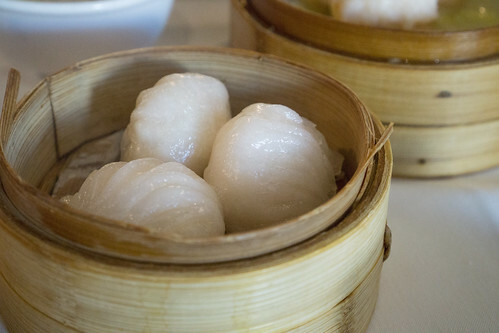 The Har Gow (Shrimp Dumplings) was actually again a bit bland. Goes well with the chilli sauce though which is on the salty side of things, so I guess it balances out. The pastry was also a bit thicker then I’d like. 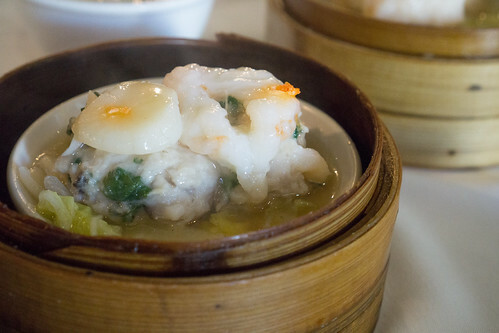 This particular dim sum was one of their specials at Crystal Jade, so you do pay a premium for it as it is topped with scallops. It had a nice seafood flavour to it but nothing spectacular. 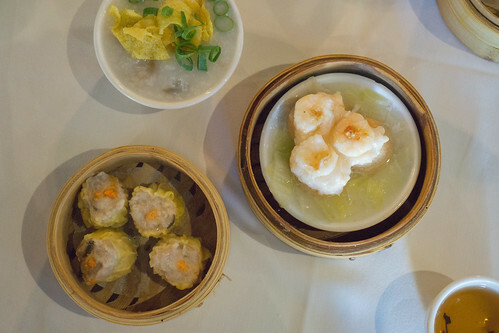 Siu Mai is probably my second favourite dim sum item, seems like you can’t go wrong with making it. Or I just haven’t come across a bad one yet. 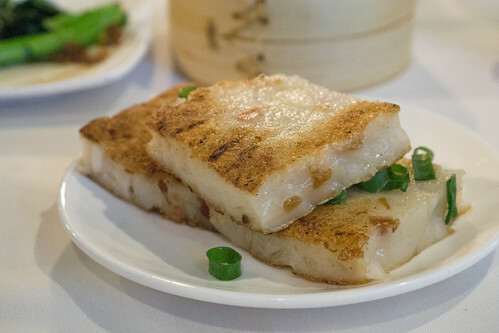 Lo Bak Go is my favourite dim sum item, I love this turnip cake and how I know it’s done right is the consistency. 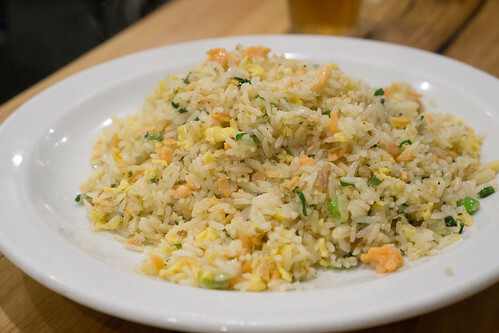 Shouldn’t be dense, and shouldn’t be too flour-ry, and with just enough salt, sugar and pepper seasoning and Chinese sausage pieces throughout it. Lastly, it should be crispy outside. At Crystal Jade, it pretty much checks all the boxes apart from the uneven frying which I can overlook because taste-wise it’s pretty good. 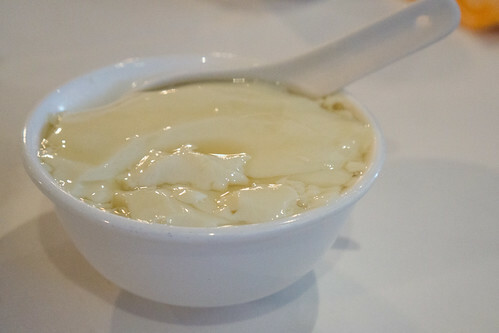 We also ordered the Tofu Fa, it’s one of these desserts that you can have warm or cold. 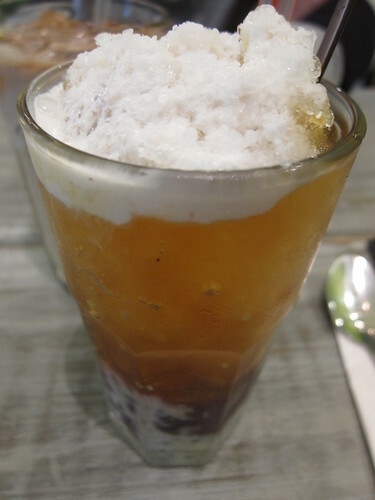 The lady that served didn’t do the proportions correctly, as we found it just needed quite a lot more of that sugar syrup otherwise it can be quite bland. We had to request for a small bowl of the syrup to adjust it to our liking, but at least it wasn’t too sweet as you wouldn’t be able to rectify that! 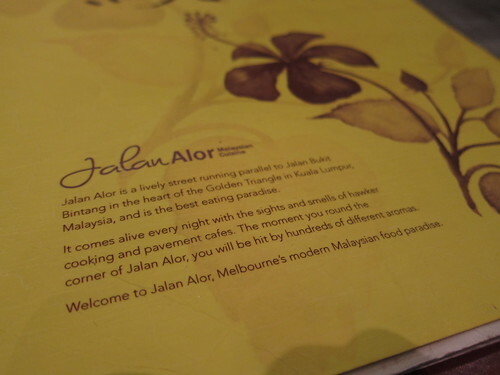 Overall, dining at Crystal Jade doesn’t leave a lasting impression. 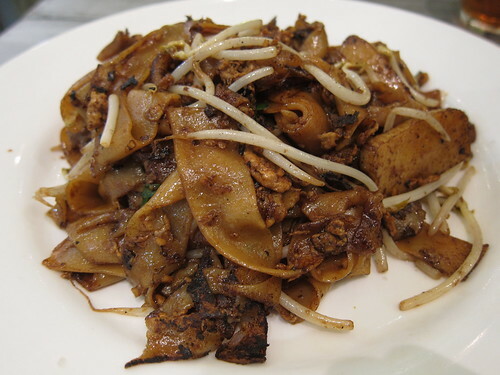 A few dishes seem to be lacking in flavour, and the other dishes, while are good, aren’t any better than the other places I’ve been to.